School of Rock was built around the simple idea that the best way to learn music is to play music. 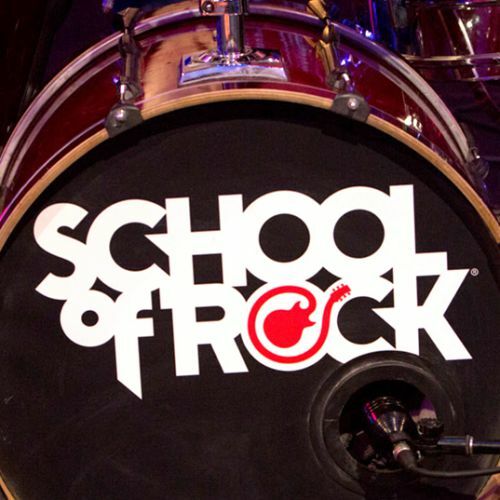 Founded in Philadelphia in 1996, today School of Rock is a nationwide, performance-based music school where students aged 8-18 receive individual lessons on guitar, bass, drums, keys and vocals, and participate in full-band group rehearsals. Learning material from across the rock and roll spectrum, the unique student experience culminates in live performances at rock venues. School of Rock’s Chicago Show Team – representing its very best young students – plays at rock clubs, festivals, charity events and block parties, performing a mix of great rock songs from a variety of eras and styles including songs from the Allman Brothers, Steely Dan, the Rolling Stones, Alabama Shakes, Adele and Van Halen, to name a few. It’s been said that School of Rock students bring the rock harder than most pro bands they share the stage with, and they’ve become yearly fixtures at many summer festivals, including Taste of Chicago and BenFest. School of Rock students recently performed at Lollapalooza, Summerfest, and Warped Tour, and opened for REO Speedwagon at House of Blues.